If you’re setting up a new office space, one thing you have to consider is storage. You’ll need a place to put files, office supplies, computer media, marketing materials, and even holiday decorations. 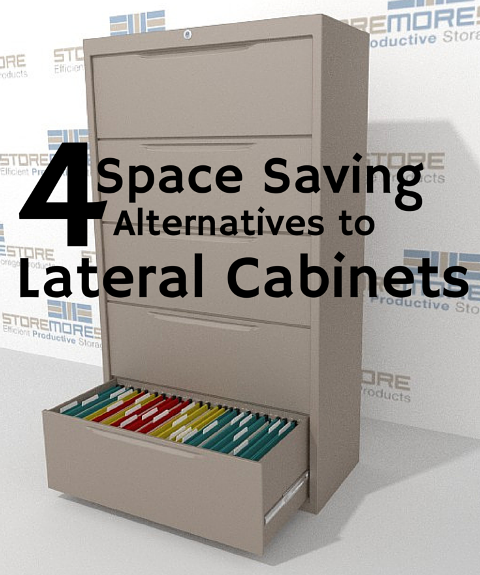 Before you go for the old standard, lateral file cabinets, we have 4 space saving alternatives for you to consider – and a bonus 5th option! 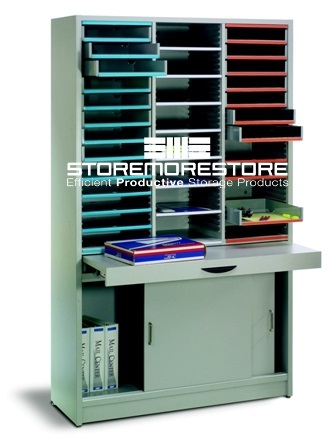 Usually, these freestanding document sorters are used in the mailroom. They easily store all kinds of mail and make it easy for items to be delivered. But these sorters aren’t just for mail. You can use them to keep all kinds of paperwork organized. In fact, check out one of our previous blog posts to learn how you can use document sorters for storing your marketing collateral! Rotary cabinets can do everything lateral cabinets can do…but much better! With rotary cabinets you get twice as much storage capacity; you can store more items (binders, computer media, and even hanging clothes); and you can access stored items much easier thanks to their spinning capabilities. Sliding mobile shelving is just like your typical static shelving except it moves on tracks. Put rows of sliding mobile shelving in front of each other and you’ve got a double, triple, or quadruple deep storage system. The result is an increase in storage capacity in less space, with dramatic improvements in organization, convenience, and productivity. 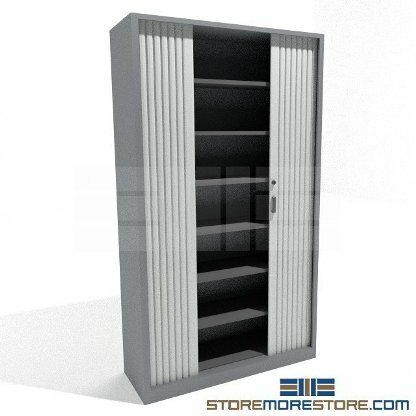 How do you take stationary shelving and turn it into a secure cabinet? Add doors! The rolling door cabinets offer you all the storage flexibility and space savings of open shelving with the security of lateral cabinets. There are both stationary and mobile options available. You’re probably thinking, “what…how can lateral file cabinets be the alternative to lateral file cabinets?” The answer: these lateral file cabinets are on tracks! You can put these cabinets in front of any type of stationary storage you have. What this does is use less space because you don’t have to create an aisle for access to stored items. And you can add as many rows of lateral file cabinets on tracks as you want! 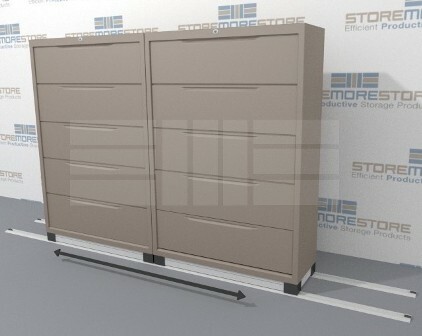 You can find all of these lateral file cabinet alternatives and much more online from StoreMoreStore! And if you have any questions or need assistance, give us a call at 1-855-786-7667.